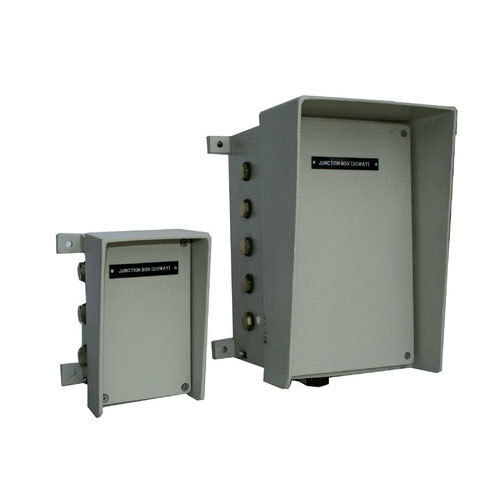 SMARTsaa offer a wide range of SLJB, FRP / SMC Pole Boxes having dimensions of 250 x 200 x 100mm & Thickness approx 2.7mm.These boxes are offered with inbuilt termination system molded out of SMC/DMC. Available in wide range of dimensions and offered with electrical fittings as per customer specifications. We take into account the diverse application requirements of our clients and offer suitable range of SLJB electric pole boxes. Smart sensors and Automations, SMARTsaa are leading suppliers of Proximity Switches, Special Sensors, Safety Switches, Level Switches, Transmitters , Large Size Process Indicators , Cement Bag Counters, Dust Suppression Systems and process control and monitoring products and offers cost effective turnkey automation solutions. SMARTsaa is an associate company of Protocontrol Instruments I Pvt. Ltd. SMARTsaa is first company to introduce “Portable ESP Hopper Level Management Technology “to Indian Thermal Power plants and is leader in Coal Ash Level Sensors and Solid Level Switches and Transmitters. 2015 March was defining moment for a young and dynamic engineer just passed out from engineering collage, less known in industry but having clear attitude to excel. Even though he had business back ground, initial days were hard yards and were a testing ground for testing his skills and ability. Now it’s a well known company having experienced success and accomplishment in every sphere. It is a transformation rather than a mere change. The company has transformed from a product seller to VAR (value added re-seller) to a technology and knowledge based solution provider in the field of Ash Level Measurement in ESP Silos. With this background, SMARTsaa offers complete solutions for measuring various process parameters like level, speed, pressure, temperature, humidity, moisture and flow. We have manufacturing unit in MIDC, Pune Industrial area equiped with state of the art machines and equipments for manufacturing and testing.We take every effeort for understaning requirement of customer so that supplied product meets expectation of customer.